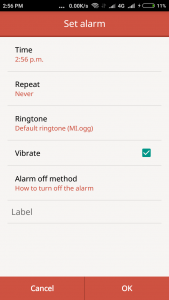 Do you have the habit of snoozing your alarm when it rings? Do you go back to bed turning off your alarm? Then we got an app for you which is best when it comes to waking you up from your bed. 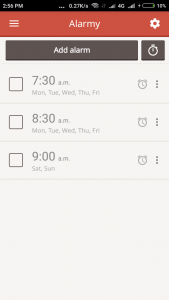 I have tried tons of apps but I ended up snoozing the alarm and going back to bed. 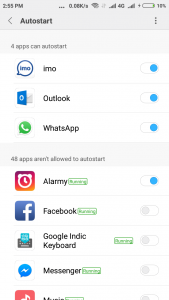 But Alarmy is an app which is my all time favourite. It does the job for what it is meant to be : Forcing you out of bed. I have been using this app from around an year. Sometimes, I hate myself for setting up alarm on this app, but then I thank myself because it helps me wake up without leaving me any option. 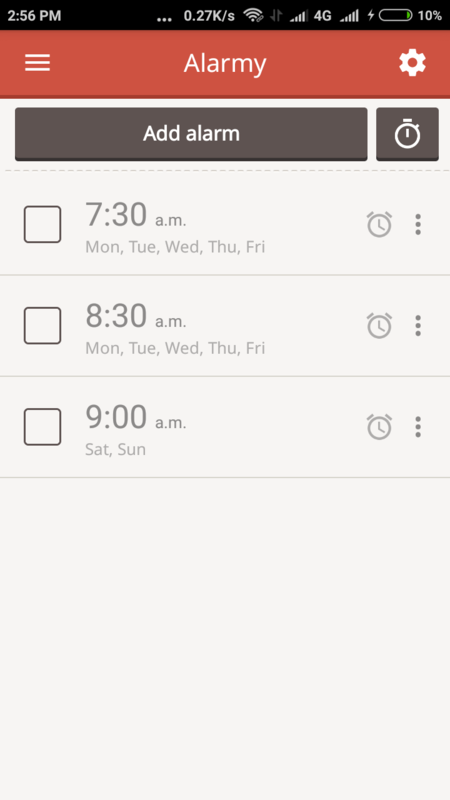 The app uses different mechanisms to set alarm. Picture Mode : This is the most toughest mode, the picture mode where you take a snap of an object and when the alarm rings, you need to match the clicked photo again by taking a snap of the same object. The alarm won’t stop ringing unless you take the same matching snap of the object. You can set the sensitivity of the picture. This is my favourite method where I predefined the photo of my sink. Until I wake up and reach the sink in my hall, the alarm doesn’t turn off. Till then, I am completely awake and out of sleep. Barcode / QR Scan Mode : This is similar to picture mode. 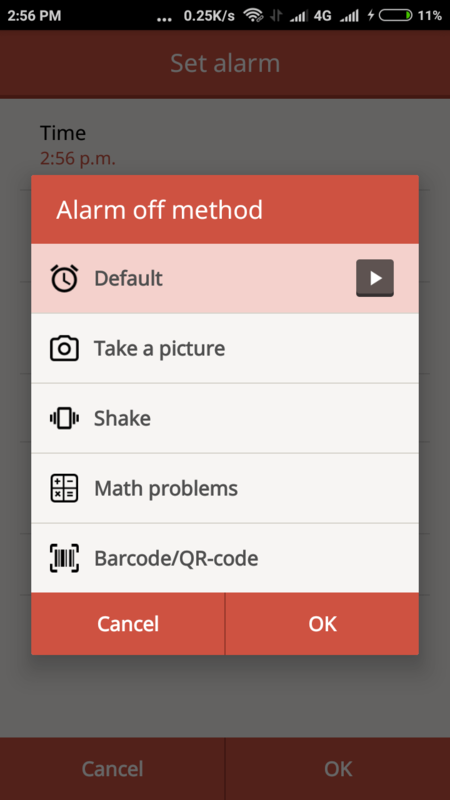 In this mode, you need to scan a bar code or a QR code to turn off the alarm. Math Problems : This mode is a little easy where you are shown simple math problems (addition, subtraction or division). You need to solve the problem to turn the ringer off. This is somewhat annoying because when you are very sleepy, you have to mentally wake up to solve the math problem. This didn’t worked for me. I use to solve the math problem and sleep again. Shake : This is the easiest mode. You just have to shake the phone to turn off the alarm. 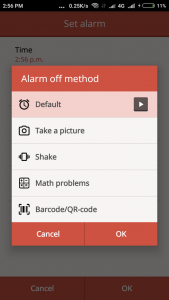 Before you set up alarm, make sure that the Alarmy App is enabled to run in background. Now click the Alarm Off method. 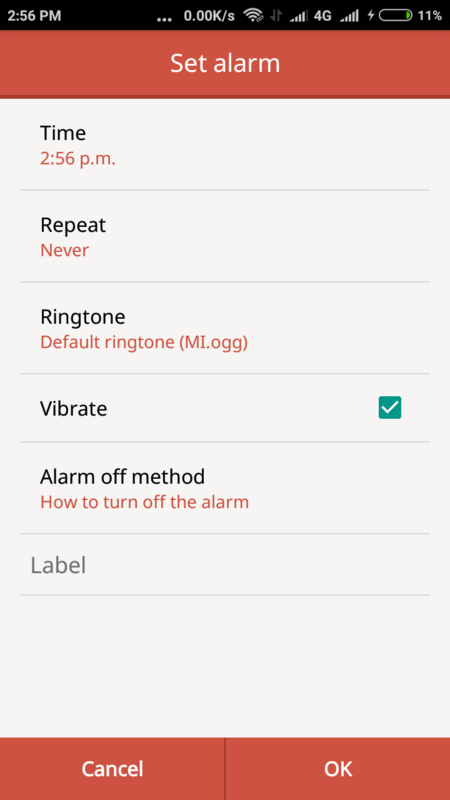 From the given options choose the alarm off method. If you found this post helpful, please like it and share it on your social networks.